The term “recycling” is something that we regularly hear. We are constantly reminded to be conscious of the environment, but do you really understand what recycling is? Simply put, recycling involves processing rubbish and transforming it into something new. The waste either becomes a raw material which can be used for manufacturing a new product or it can be transformed into something else. You will be surprised to discover that items regularly produced from recycling include toothbrush handles, winter coats and coffins! There are companies around the world that specialise in recycling and here in Australia, the government is encouraging every individual to do their part. Here at A’n’K Budget Bins, we promote responsible waste removal Perth services. As such, we have prepared some interesting facts you have to know about recycling in Australia. Australia is one of the countries that generate the highest waste amounts. An Australian produces more waste than any individual from other countries in the world. At an average, a family in the country produces around 400 kilograms of waste materials annually. Waste materials that are not recycled end up in already densely packed landfills. With or without the presence of oxygen, waste materials degrade. Such process generates a substantial amount of methane gas. These waste-generated substances significantly contribute to global warming—25% more than carbon dioxide. It would take a million years before a glass bottle decomposes. When you dump a glass bottle in a landfill, it would take around 4,000 to a million years before it disintegrates. The good news is glass materials can be recycled over and over again. Aluminium recycling saves a lot of energy. You will be surprised to discover that when you recycle an aluminium material, you can conserve a good amount of energy. The amount of energy saved can power a television for three hours! 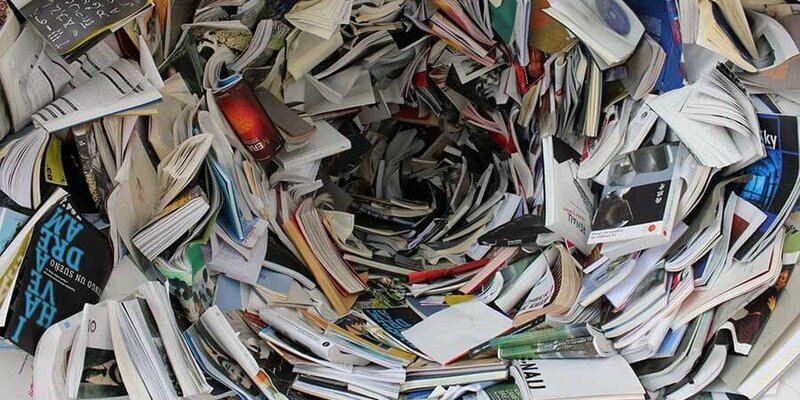 Recycling paper is always the better option than throwing it away. When you recycle paper materials instead of throwing them away and sending them to a landfill, you can ensure that the greenhouse gas produced in rubbish tips can be reduced by one kilogram. In 2008, Australia became the top newspaper recycler in the world. When we recycle a tonne of newspapers, we conserve about three cubic metres of landfill space. Plastic bags are one of the major waste materials produced in Australia. Every year, about 4 billion plastic bags are used by Australians. You would be surprised to know that the petroleum used to manufacture nine plastic bags is enough to power a car for a kilometre. This also means that the annual amount of plastics used by Australians can power a car for 450 million kilometres. Around 376,000 tonnes of plastic packaging are used by Australians every year. It takes around 500 years for plastic packaging to start disintegrating. Plastic bottle recycling conserves enough energy to power a computer for 25 minutes. Every year, about a million sea creatures die because of the plastics disposed into the ocean. Every year, the fishing industry disposes around 150,000 tonnes of plastic materials into the ocean, contributing to the deaths of these creatures. Australia produces a significant amount of electronic waste. One of the most common waste materials dumped into landfills are batteries. Every year, Australians purchase 350 million units and about 67% of these are dumped to the landfills. Nickel from waste batteries can still be recycled and used for manufacturing stainless steel. Waste removal Perth services are important. However, not all rubbish removed from businesses and homes necessarily have to end up in the landfill. Some skip bin companies like A’n’K Budget Bins take the rubbish to a licensed sorting facility to have it recycled as a way of reducing Australia’s carbon footprint. On the other hand, the responsibility of recycling does not have to solely lie on the shoulders of big companies. Just by looking at the facts we listed above, you can understand that as Australians, we can make a bigger difference when each of us will do their part in recycling. You may have hired skip bins before and wondered where your rubbish ends up. Whether you hired a mini skip bin or you booked larger, industrial bins, the rubbish we collect from your kerb is taken to a licensed sorting facility. The standard materials that can be recycled include plastic, paper, metal and glass. Once the waste has been sorted, the materials will be sent to a facility where they will be processed into new recyclable materials. These materials include glassware, plastics and cardboard boxes. You would be surprised to discover how much waste materials can be recycled. By taking your waste to a sorting facility, we can ensure that as little waste as possible will end up in the landfill. Green waste is typically separated from regular recyclable materials. They will be properly disposed of or recycled. On the other hand, the items in the bins that cannot be recycled will be considered as landfill materials. Of course, we do not expect you to sort the rubbish you put in our skip bins. However, you are free to play a part in contributing to green recycling. This means that it would be ideal if you can separate your green waste from other recyclable materials when you are loading your skip bin. It would be easier to dump all your rubbish into the skip bin. However, you can significantly contribute to environment-friendly waste removal when you take the time to consider the materials or items you are disposing of. Construction waste – scrap metal, steel, bricks, aluminium, tiles and gypsum board. Green waste – twigs, grass clippings, tree branches and palm fronds. Old furniture – tables, lounges, chairs, beds, desks or bookcases. Mattresses are only allowed through special arrangements. Household waste – old clothing, toys, boxes and other general rubbish items. Electronic items – computers, televisions, laptops, stereos and other discarded electrical goods. When you carefully consider the items you place in the skip bin, it will be easier for the sorting facility to ensure that reusable items will be recycled. When you hire a skip bin from A’n’K Budget Bins, you can ensure that waste removal for your garden or renovation project will be handled with caring for the environment in mind. It is true that you can save some money using your own trailer or UTE to dispose of your waste. However, the more environmentally-friendly rubbish removal Perth option is to hire a skip bin. Recyclable materials will be transformed into new materials and green waste will become earth’s food. You can save yourself from the hassle of making trips to the landfill while ensuring that your rubbish will be disposed of appropriately and carefully. Your waste removal should be left to the hand of the experts. At A’n’K Budget Bins, we ensure that we perform an environmentally responsible waste management. Play your part in caring for the environment! Book a bin with A’n’K Budget Bins today and ensure that your waste will be disposed of in an eco-friendly way. How do Aussies Get Rid of Plastic Waste? Where Does All the Rubbish go in Australia?